Sulphur cream shampoo with Colloidal Sulphur and plant proteins. The balanced formula and high percentage of Active Colloidal Sulphur make this shampoo a very effective COSMETIC CLEANSING treatment, particularly designed for dandruff. It has an effective adjuvant anti-parasite action. 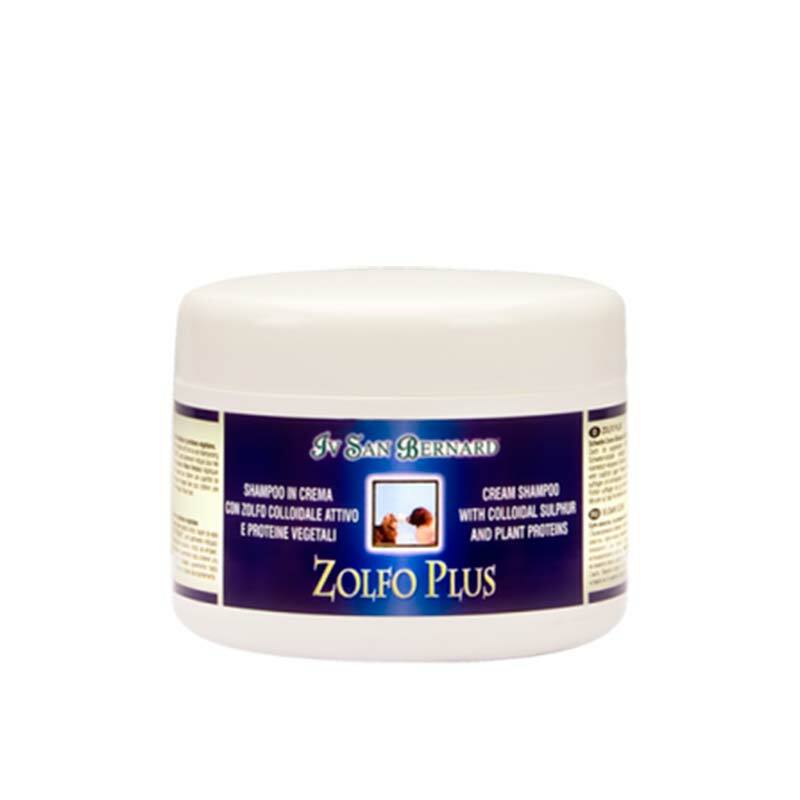 Apply ZOLFO PLUS on wet coat and massage to obtain a light amount of foam. Rinse. Apply another dose and massage well to obtain an abundant amount of foam. Leave on for 3-4 minutes. Rinse well. 250 ml – 1 Lt.